The Woo-Woo documents a stranger-than-fiction childhood surrounded by dysfunctional, profanity-loving adults. Diagnosed with vertigo in her early 20s, Lindsay Wong's doctor told her she may never be able to read or write again. But this neurological condition did little to dissuade Wong from writing her memoir, The Woo-Woo, which documents a stranger-than-fiction childhood surrounded by dysfunctional, profanity-loving adults. The Wong family story intensifies with each turn of the page and was rejected by many publishers for not being "relatable" enough. The Woo-Woo will be defended by Joe Zee on Canada Reads 2019. 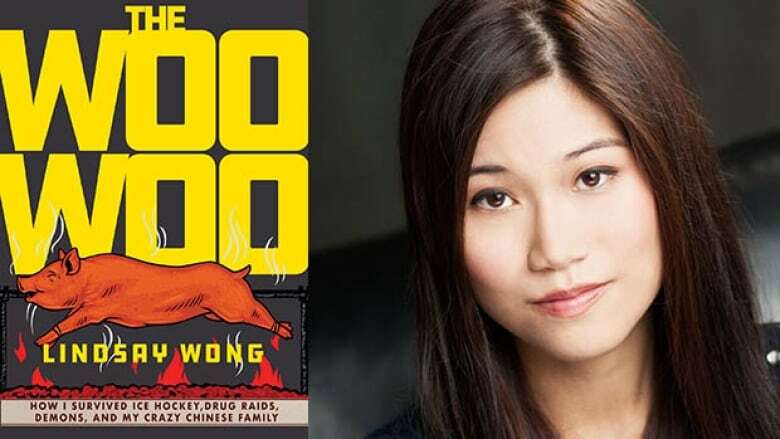 Below, Wong shares how she wrote The Woo-Woo. "I've always had a crazy life. There have always been these unbelievable events that happened to me. For instance, at the end of my book, I talk about my plane that catches fire twice and having to spend the night at room 666. I think if I had done this book as fiction, no one would believe me. "I had a very, very long manuscript and I found that it was better to let my subconscious flow and get out all the moments, then go through and pick the ones that highlighted the best experiences." "I remember being very scared when I was in a neurologist's office and he said, 'You may not be able to read or write again.' I was like, 'What are you talking about? I need to finish my MFA program and I need to be a writer.' He responded, 'Maybe in five years or when you're famous you could write about it, but start thinking of your contingency plan.' I thought, 'No. I cannot do that.' I would force myself. "Screens somehow made the vertigo worse, so I would lie in bed, make notes and then when I had to, I would go on my computer. I'd take a lot of breaks and tell myself, 'The nausea will go away.' I can be pretty intense and obsessive when it comes to my work. It would sometimes affect me for months. I remember staying in my apartment and getting really nauseous and sick. Other times, it would randomly creep up on me — I might be at a literary event and I could feel the room turning." "My agent gave me a note about cutting 25 per cent of the jokes. We originally had a lot of jokes, but it was better for some scenes to end on a more emotional note. This is a memoir, not a joke book. I guess my natural inclination is to be funny. "Humour is a survival mechanism for me. If I can't laugh at myself or the things that are happening around me, then it's hard to get through a difficult childhood. Sometimes you don't know whether to laugh or cry. But I didn't know that I was funny until I got to New York City. Columbia University put a lot of emphasis on humour writing. I remember submitting my first piece and people were like, 'Lindsay you're actually funny.' I thought, 'Oh, OK. I'll keep doing what I'm doing.'" "I think it's an important story because of the stigma and shame of mental illness. One out of five Canadians have mental illness or know someone who has mental illness. I hope everyone can relate to this idea that mental illness is not shameful or taboo or a stigma, especially Chinese Canadians. We have a private culture where we don't share our secrets and we don't trust outsiders, necessarily. I'm hoping that people will be able to talk openly about illness and things that are affecting them. I know I have a lot of Chinese Canadian friends who are my age and they are terrified of telling their parents that they're seeing a therapist or they're depressed because of the shame and the ridicule that would come with it. I've always been a very honest person in that sense. When I'm writing, I feel like nothing is sacred." "This manuscript was rejected a lot. People kept telling us it was too niche, too weird. They said the voice was not someone anyone could relate to. That's why I've been so surprised with how it's been resonating with people. "It's always hard when you go through the submission process. No one tells you how difficult it is when you have publishers looking at your books from a marketing perspective. At the same time, being told that your voice is not relatable to everyone else is hard to hear. But I'm very persistent person. If I get bad news, five minutes later I'm emailing a second person or I've moved on. That's the only way to survive." Lindsay Wong's comments have been edited for length and clarity.